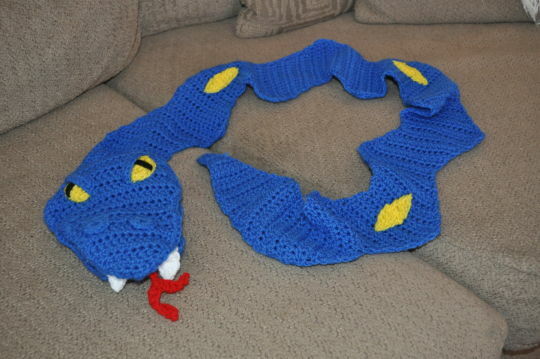 My grandson wanted a blue snake scarf with yellow diamonds and mean eyes. Of course, I had to make him one! It also doubles as a hand puppet. He loves it. Great idea to make a hand puppet section.